Northside Honda San Antonio is your local Honda Dealer in San Antonio for all of your Honda sales and service needs. 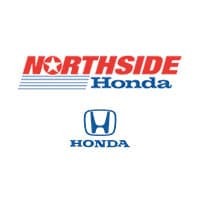 Formerly known as Fiesta Honda and Benson Honda, Northside is now part of the new Northside Auto Group, locally owned and managed. We're here to make your car buying experience hassle-free, quick, and enjoyable. Shop with confidence knowing we will beat any deal from a San Antonio Honda dealership so you can save time and money on your new vehicle. Find your new 2019 Honda Pilot at Northside Honda San Antonio, part of the Northside Auto Group. When looking for Honda dealers in Texas, make sure you visit our Honda dealership in San Antonio. We have a great inventory of new Hondas including the award winning 2019 Honda Accord and 2019 Honda CR-V. Texas small truck shoppers should check out the new 2019 Honda Ridgeline. Make the drive down from the Texas Hill Country for your new Honda and get huge savings. Northside sells for less!